Are you looking for an Italian Funeral Director, at Lincoln Family Funerals we have an Italian speaking Arranger who has been helping Italian families arrange funerals for over 15 years. With this experience she is very knowledgeable in the Italian traditions and will guide her families in the right direction to ensure all procedures are covered. Some of these traditions include, arranging the Rosary which is typically recited the night before the funeral in Church or can be held the same day of the Funeral prior to the Mass service. We arrange to have a Memorial Guest Register for family and friends to sign their names. This is so the family know who has attended the Rosary. (This is also provided on the day of the funeral). If the family would like a viewing we go above and beyond to ensure their loved one is presented in the utmost dignified manner. 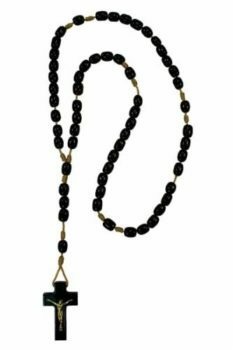 We place Rosary beads in the hands of their loved one and of course anything of comfort the family wishes to place into the casket. Following the Rosary we ensure the condolences are arranged in an organized manner so as to avoid any discomfort to the family. (This is also done at the Church and or Cemetery, as per the family’s wishes). We offer all the traditions and then, of course it’s up to them which they would like to have. 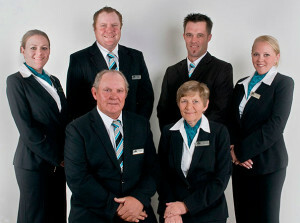 We, at Lincoln Family Funerals never push any of our products and services, we simply explain what is available. We offer a mode of transport on the day of the Funeral Service. This can be via a Limousine, which can seat up to 11 family members or a Sedan to seat 4. Having these can take away some stress on the family of having to drive to the Church, Cemetery and back home. 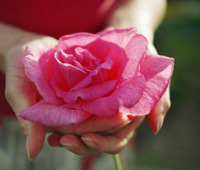 We also offer to driver past their loved one’s family home. We drive to the home, stop and place a flower and the front door and then our staff walk the hearse off as a sign of respect to the family and their loved one. During the Requiem Mass Catholic rites and rituals play a very important role within the Italian culture. Having done many of these services we understand there is a sequence of requirements to follow from arranging Mass books for the service, ensuring we have a staff member to remove the flowers on the casket so the priest or family member can place the Pall on the casket. Ensuring we have a staff member present during the offering of the Gifts so we can guide and hand the gifts to the family member receiving them. Our staff assist the priest with the Thurible during the final blessing. We also can arrange a Singer / Organists who specialize in Catholic services as well as having one of our staff members to play Hymns on a CD player at the correct moments of the service, if this is what the family desire. We only cater for the family’s requirements. Other traditions we organize for the family is a notice in the obituary columns of the “Il Globo” newspaper. Many photographic portraits of the deceased are also placed in this newspaper. We arrange personalized or Catholic Santini Cards to be handed to family and friends at the service, Crucifix Mount to place on top of casket (giving this to the family to take home), as well as a crucifix fixed onto the casket. We also offer our families a Grave marker to be placed at their loved one’s final resting place until the family arrange to have a Monument/Headstone placed on the grave. Due to one of our staff also having worked at Fawkner Cemetery as well as a Stonemason we also have extensive knowledge regarding Graves, Mausoleums, headstones, monuments and plaques. For more information go to our contact page or to speak to an Italian Funeral Director, call us on 9333 0997.